We propose to utilize an Er-doped fiber laser locked to a cooled Rb two-photon transition (TPT) resonance as a frequency standard for fiber-based optical communication. We show experimentally that a continuous wave laser beam can enhance the strength of cooled Rb TPT as much as 2.5 times. The cooled Rb TPT resonance excited by the fiber frequency combs has a measured linewidth of about 900 kHz. After locking the repetition rate of the fiber laser to the cooled Rb TPT resonance, the stability reaches 1.5×10−13 with 100 s averaging time. 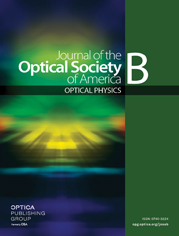 The results demonstrate that the proposed method in this paper is promising to provide the radio frequency standard for fiber-based optical communication.